Whether you want to repaint your car, can’t wait for those wheels & tyres or lift kit you’ve been wanting? Or just simply can’t afford the costly repairs your car needs, at Sharp AutoCare we can help. 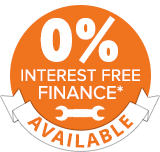 We offer interest free finance, to approved applicants & it’s easy. With easy to manage weekly, fortnightly or monthly repayments don’t wait, apply today. Call (08) 9434 5533 & speak to the team at Sharp AutoCare to get started or fill out our contact form.